The first SEWPROF training event took place in Bath on Monday 22 – Wednesday 24 April 2013. 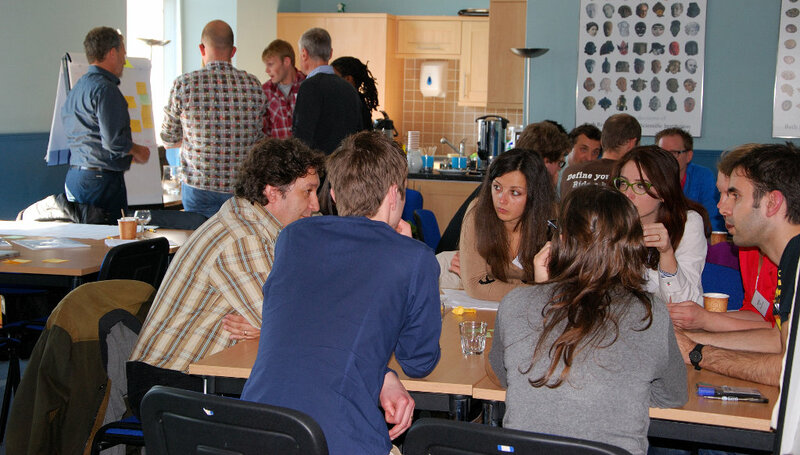 The three day event, entitled ‘Human Health and the Environment’, provided an excellent opportunity for early stage career researchers to interact and to engage with key themes within the context of the network. The first day focused on the ‘Urban Water Cycle’. The key challenges including fate of micro-pollutants (illicit drugs and pharmaceuticals) in the aqueous environment, during wastewater treatment and in drinking water were discussed. During the second day themed ‘Hazardous Substances and Human Health’ human exposure and risks from environmental and food toxicants were evaluated. The third day entitled ‘New Synthetic Drugs of Abuse’ provided an overview of the patterns of use of new psychoactive drugs in the UK and Europe. The participants also attended the skills training sessions ‘Knowledge and Intellectual Abilities: Creative and Critical Thinking’ and team building activities, which focused on the development and prioritisation of key ideas and subsequent presentation. SEWPROF Initial Training Network is funded by the Marie Curie Actions of the European Union Seventh Framework Programme. This project has received funding from the European Union's Seventh Framework Programme for research, technological development and demonstration under grant agreement no 317205.